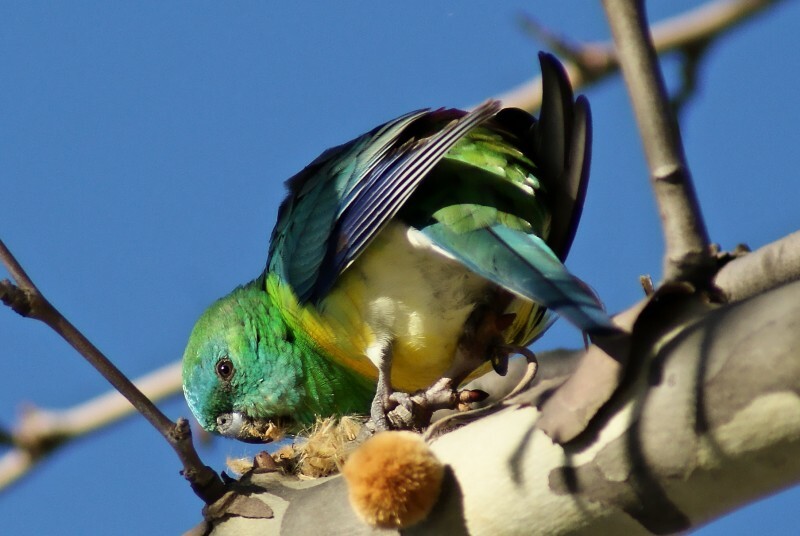 Red-rumped Parrots are a fairly common bird of grasslands, open forest and drier areas in the South-east of Australia. The males (top two photos) are more brightly coloured than the females (bottom two), with turquoise heads, bright red rumps and bright yellow bellies. 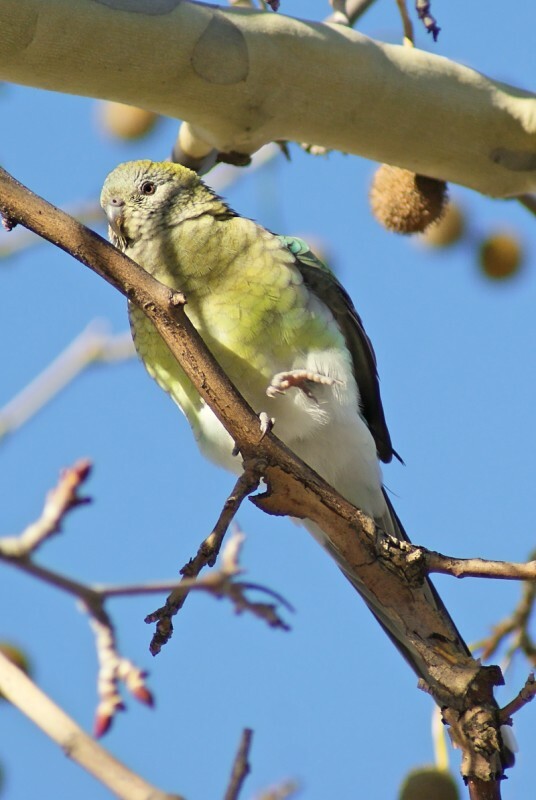 The females are duller, often appearing olive or greyish. 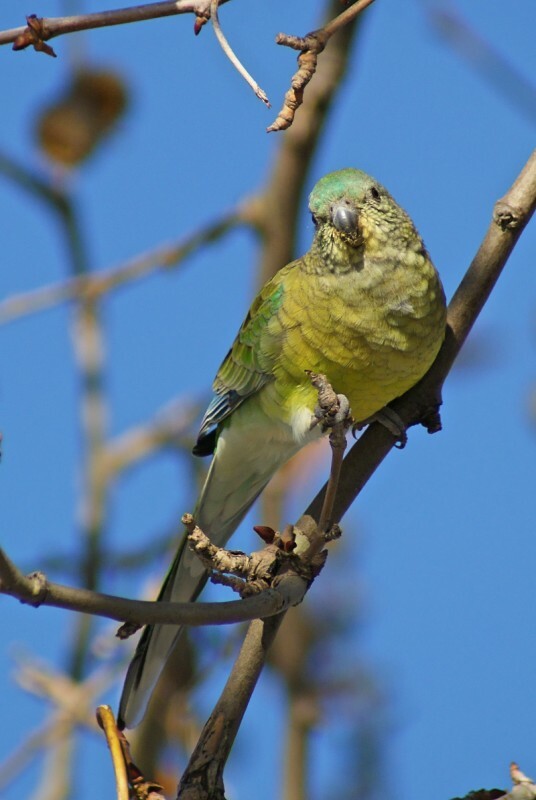 They are medium-sized parrots at 26-28 cm in length. 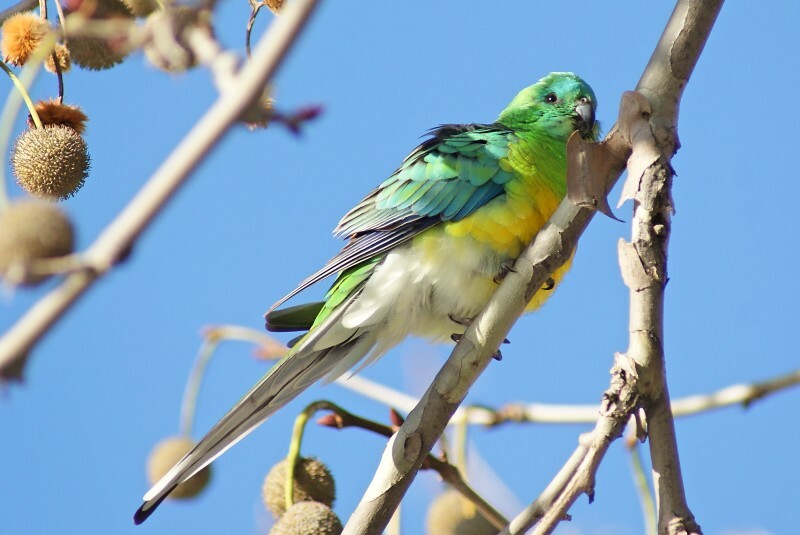 These birds were seen in the middle of Adelaide, feeding on introduced plane tree seeds which appear to be very popular with several species of parrot.